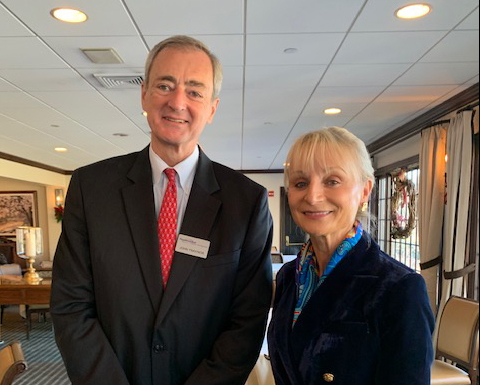 Our Chamber had the pleasure of presenting John Traynor, Chief Investment Officer of Peoples Bank, at our Chamber’s Annual Member Meeting and Breakfast in November. John provided the audience with sound data on the national and our local CT economy. We are in the tenth year of the current economic expansion. In November 2016 we entered the late cycle phase of this expansion. 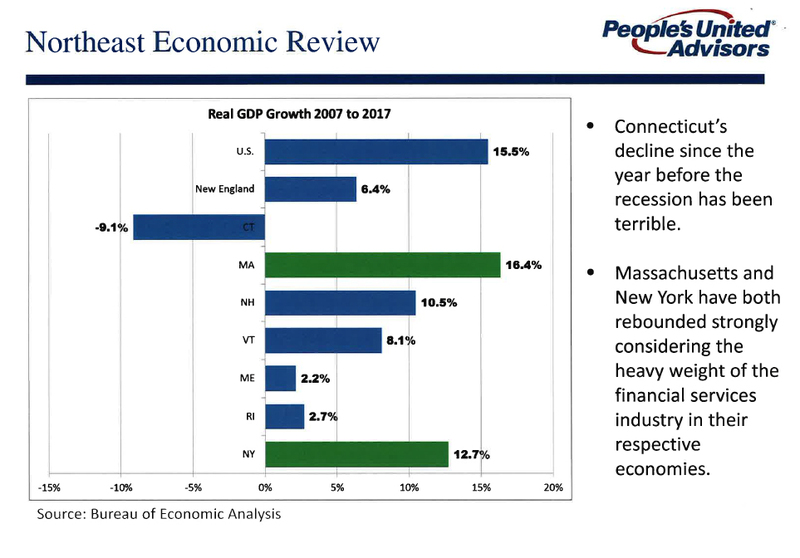 CT is ranked at the bottom of the list as the worst run state; data from Barron’s. \Looking only at wages and salary growth, CT ranked 49th. That CT has done so poorly, while being located between Boston and New York who have both rallied, is especially disconcerting. CT has lost high paying finance and manufacturing jobs during our expansion and replaced them with low wage service sector jobs. 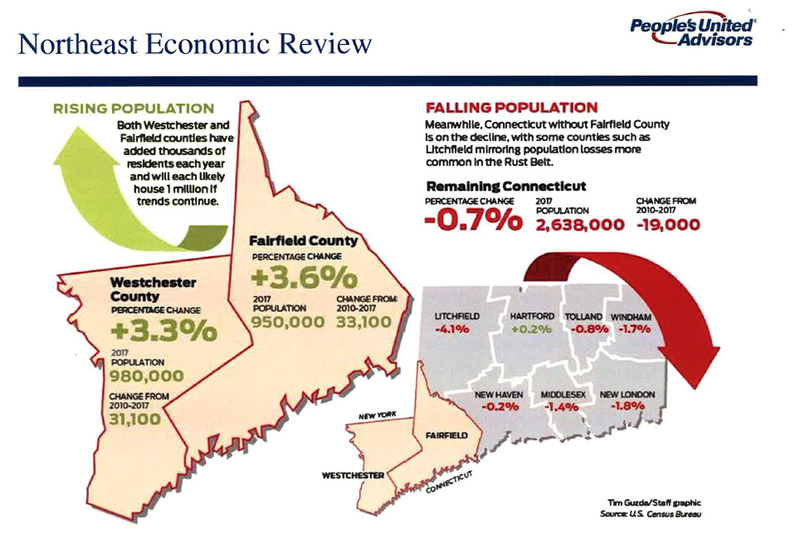 CT, without Fairfield County, is on the decline with some counties such as Litchfield mirroring population losses more common in the Rust Belt. Both Westchester and Fairfield counties have added thousands of residents each year and will likely house one million if trends continue. The answer to many of CT state woes is job stimulation.